The Original Sweet Ballz™ Cake Balls for Fundraising! Everyone will want to order these yummy cake balls! Available in 6 flavors, there’s sure to be a favorite for every customer. There are 3 cake balls in each package. And, 10 packages per handy carrier case. Case also makes a nice counter display. You can earn up to a 45% profit, minimum order to receive free shipping is 20 cases. 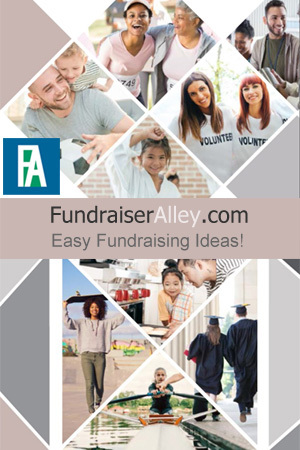 Order for point of sale fundraiser or use as an order-taker. 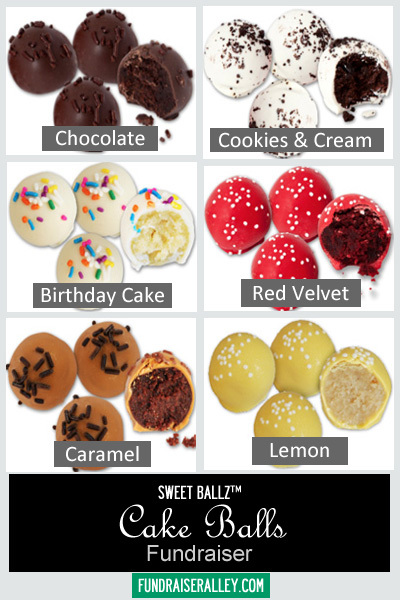 You can have an order-form made up with your favorite cake ball flavor(s) and pre-sell. But, keep in mind, there is a minimum order of 1 case and each case will contain only one flavor. Just give us a call (1-866-826-0944) to place your order or to request order-taker brochures. You will receive your delivery in about 21 business days. Commercial deliveries ONLY. NO residential deliveries.